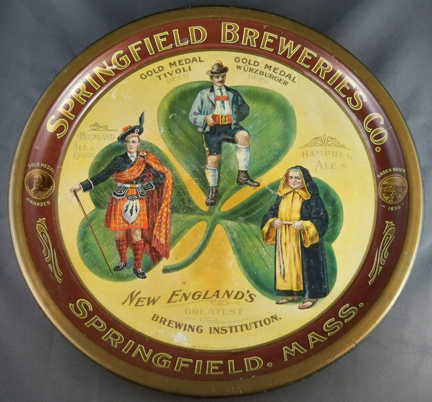 Serving Tray for Tivoli Beer and Wurzburger Beer from The Springfield Breweries Company out of Springfield, Mass. In the center it shows a three leaf clover and three people on each leaf. New England’s Greatest Brewing Institution.